Introduction: In Brazil, dentists have a legal, moral, and ethical obligation to notifycompetent authorities of suspected cases of maltreatment. Studies conducted in several countries reported the difficulties of dentists in the diagnosis, documentation, and reporting of suspected abuse cases to authorities. Objective: The aim of this studywas to investigate the perception, diagnosis and attitudes of Brazilian endodontists towards child abuse. Material and methods: Data were collected from 56 questionnaires, considering a total of 248 sent bymail (response rate = 23%) to the endodontists (female = 73%). Results: Forty-one percent (n = 23) of the professionals answered that theywere able to identifycases of abuse, while 59% (n = 33) answered that theywere unable. Considering their graduation years, 93% (n = 52) stated that theyhad received little information on this issue, and only5% (n = 3) attended seminars on this subject during the year before the questionnaire’s application. Although 61% (n = 34) of the professionals affirmed that suspicious cases must be reported, only30% (n = 17) knew to whom. Eighteen percent (n = 10) of the endodontists reported theyhad alreadytreated suspicious cases, although only3.5% (n = 2) reported the case to the authorities. The most cited signs of abuse were: bodybruises (48%; n = 27), change in behavior (48%; n = 27) and burn marks (12.5%; n = 7). Lesions presented in the face, mouth, and teeth were reported by27% (n = 15) of the professionals. There were no statisticallydifferences regarding the number of notifications in relation to either the number of years since graduation or the workplace. 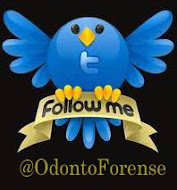 Conclusion: It was concluded that it is necessaryto improve endodontists’ formation concerning to child abuse identification, in order to modifytheir behavior, therefore, increasing the number of suspicious cases’ notifications. Article published in: RSBO. 2012 Jan-Mar;9(1):62-6.